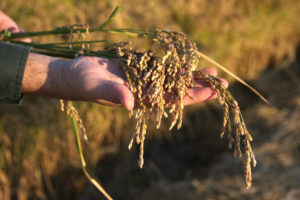 Montna Farms specializes in high quality commercial rice production with 3,000 acres of land devoted to the cultivation of short grain Japanese varieties. The origins of Montna Farms date back to 1884 when Peri Montna, grandfather of Al Montna, moved to California from France. Peri was followed by his son, Alfred “Dutch” Montna, who in the 1930s developed a portion of the Dingville, California property into a rice operation and eventually built a rice dryer. 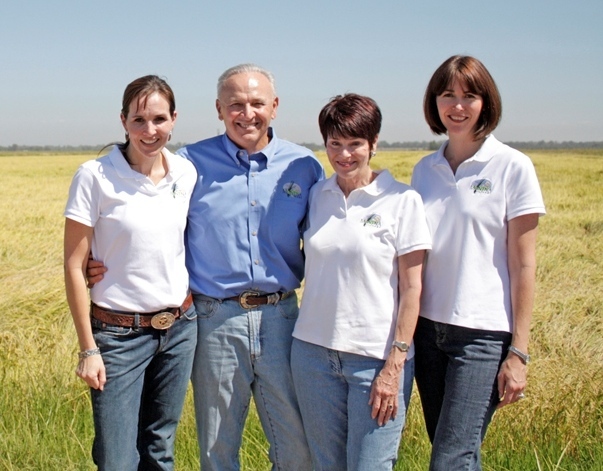 In the 1970s Al assumed responsibility for the farming operation with his wife Gail and they have two grown daughters, Nicole Montna Van Vleck who is the Montna Farms Managing Partner and Michelle Montna Vogt who works as the Assistant Manager of Operations. Montna Farms company operations are vertically integrated in the rice industry through the growing, drying, storing, milling and marketing of rice and value added rice products. Farm operations, a beautiful landscape, and conservation have always been at the forefront of the Montna family’s farming practices and farm owner Al Montna believes that conservation friendly agriculture is fundamental to the sustainability of farming for future generations. Al assures that sustainability is held in his family’s land through working conservation easements and the Montna’s have been recognized for their exemplary land stewardship practices in the form of habitat enhancement for waterbirds. The Montna commitment to agriculture and wildlife conservation resulted in the first conservation easement in California that protects farmland and provides wintering habitat for waterfowl. 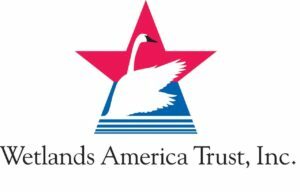 In 2002 Montna Farms, in partnership with Ducks Unlimited, signed this easement with Wetlands America Trust Inc. to permanently protect 1,100 acres of farmland along Highway 99 from commercial development. In 2009, Montna Farms restored rice land back to permanent habitat zones through a U.S. Fish & Wildlife conservation easement to assure that this land will always be managed to benefit wildlife. In 2011 Montna Farms began a three-year contract in a United States Department of Agriculture Natural Resources Conservation Service (USDA-NRCS) Waterbird Habitat Enhancement Program (WHEP) where participating landowners receive financial incentives in exchange for implementing wildlife habitat enhancement projects on rice paddies. There are currently a growing number of rice growers becoming WHEP participants throughout the rice belt region of California. In March of 2013 Montna Farms hosted a meeting to facilitate a discussion around the rice industry, habitat enhancement projects, and NRCS partnerships. This program requires extra time of the grower but the effort can in turn increase crop yields and profits through improved soil quality, reduced water use and the attraction of beneficial insects. In 2013 Montna Farms signed an additional farmland protection easement with The Nature Conservancy. The WHEP practices include straw management techniques and the placement of water boards in rice fields after harvest to collect water. Rice paddies provide nesting spaces for birds and intentionally flooding the fields in the winter enhances the duration and varieties of fall and early spring habitat. Another WHEP practice involves slowly draining water off the fields when waterbirds begin to leave rice-growing areas instead of all at once when preparing for spring field work. By embracing solar power, flooding fields for wildlife habitat and setting aside acreage into California’s first wildlife-friendly agriculture easement, Montna Farms is contributing to the balance between rice production and waterbird habitat in California’s Sacramento and northern San Joaquin valleys. Al can witness the benefits from the farm’s conservations efforts during the winter months when the rice fields are flooded and hundreds of thousands of wintering waterfowl and shorebirds migrate to Montna Farms for a water source along the Pacific Flyway. 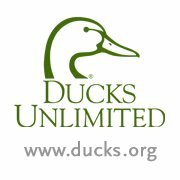 Al Montna and his daughters are revered leaders active in the agricultural community and currently Al serves on the Ducks Unlimited Conservation Programs Committee.